From the Campaigns drop down, select the Create New Campaign button. You can select either instantPURL or Use your Domain. 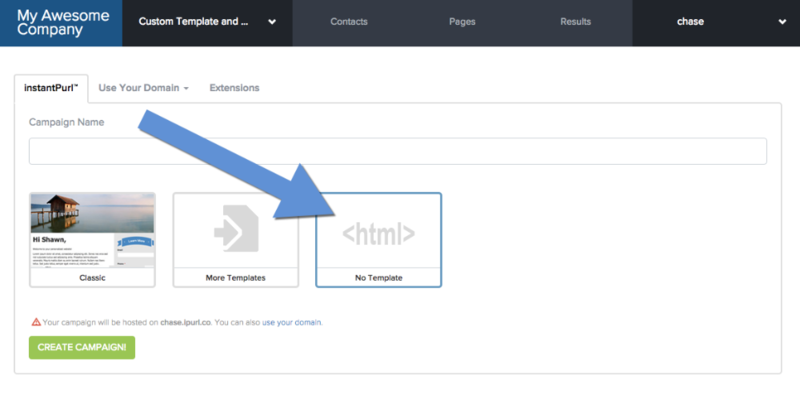 Give your campaign a name and select the No Template option. After following the setup prompts, you will be taken to the Landing Page editor. 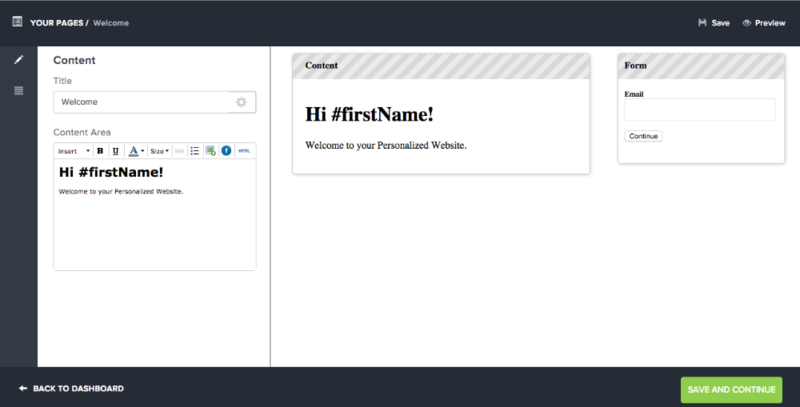 This is where you'll be able to use the WYSIWYG editor as an easy way to pull in variable content to your landing page. 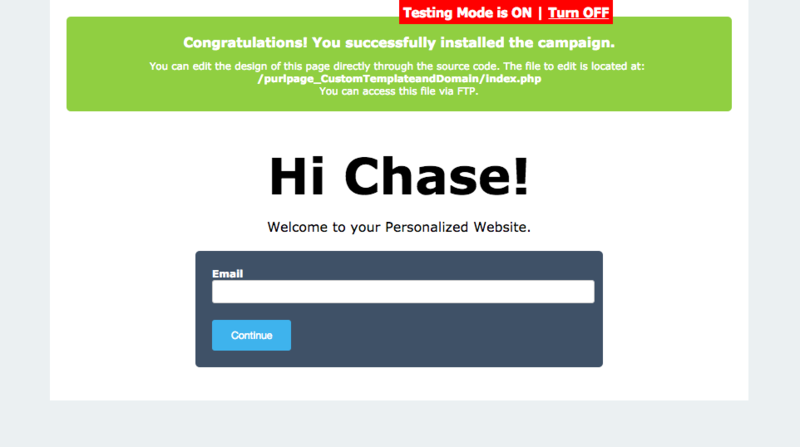 When you created a new campaign, in Step 1, an index.php file was installed on your server. Look for it in a directory named purlpage_<your campaign name>. If your installed with instantPURL, then request FTP Access. You can access this file via FTP. With the No Template option, you have access to the visitor's information through the $visitor variable. Learn more about the variables available. From here, you should be able to create a custom landing page with as much variable content as you'd like.